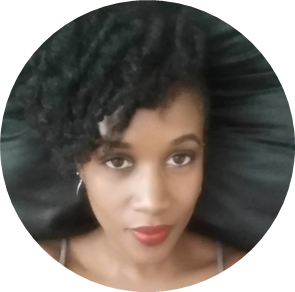 Lelita Cannon is a writer, cultural and social critic, proponent of social justice and destigmatizing mental health issues, PSA-specialist and anti-fuckery advocate. She is the creator and Editor-in-Chief of listen to lita, and lives by the adage, “I ain’t no killa, but don’t push me”, believes real Gs move in silence and loves to spit a hot sixteen. Lelita launched the lifestyle blog, Diva Style, in 2008 in exploration of avant-garde ways to approach and apply interior design in her newly purchased home. The site also focuses on her love of the arts, beauty and collective glamour. As the Creator and Editor-in-Chief behind Diva Style, she cultivates relationships with leading manufacturers and online retailers to promote awareness of and endorse their supported brands. She has contributed to blogger events associated with major marketing campaigns, reviewed products and created promotional content for extensively recognized brands in order to further publicize existing and new merchandise. Additionally, under the Diva Style brand, she lends her talents to clients as a personal shopper, image consultant and interior stylist. Lelita enjoys collecting original art, visiting exhibitions, photodocumenting what she eats (and cooks), and traveling to international destinations. She currently lives in the Washington, DC metropolitan area, is a certified Mental Health First Aid responder, and is penning a book of personal narratives. Her writing appears in The Root, Very Smart Brothas, Medium and other publications. Her work has been cited in media outlets such as The Huffington Post and Salon.